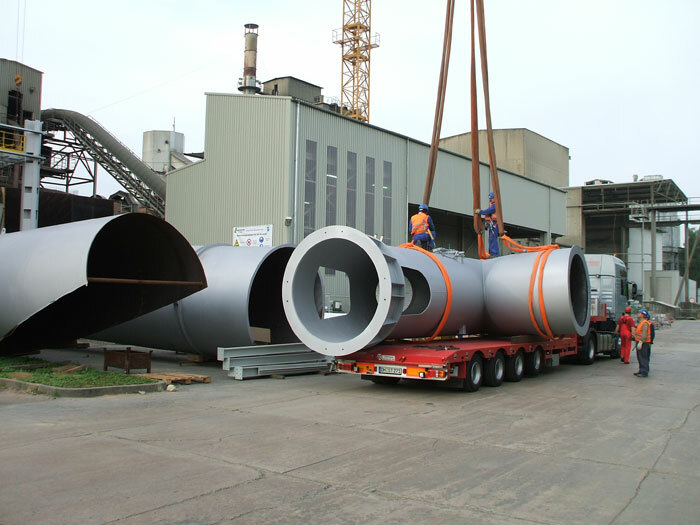 Detailed engineering, production, transport and final assembly of approximately 2500 tons of steelwork, pipelines, containers, cyclone separators, calciners and heat exchangers, etc. 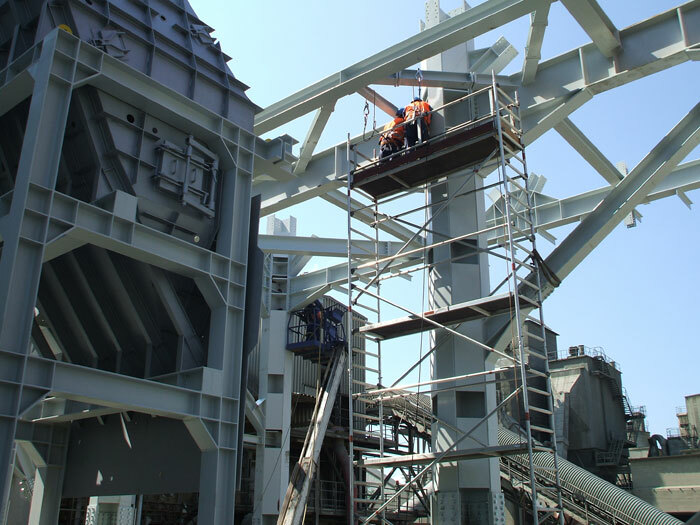 In an 11-month construction period, 2500 tons of steel were engineered and pre-assembled in Dinklage. 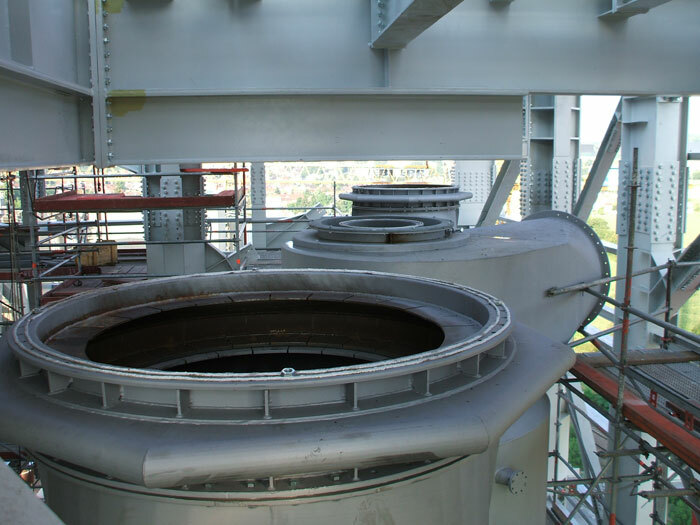 The order also included comprehensive detailed engineering. 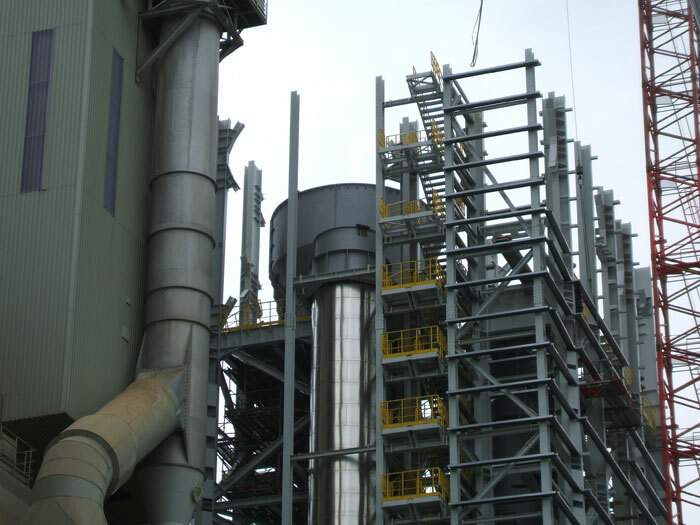 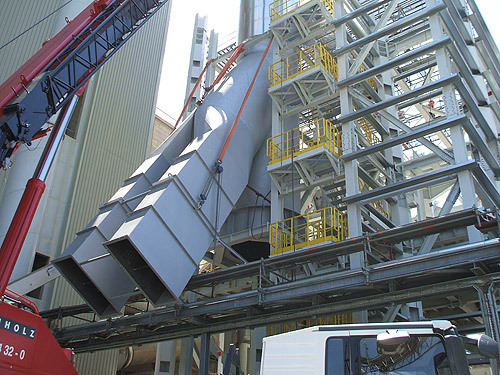 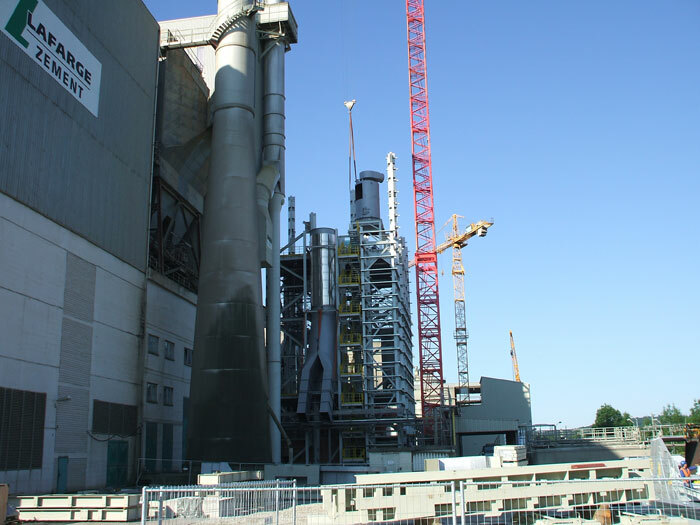 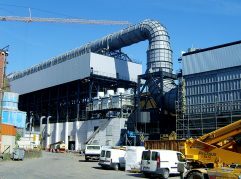 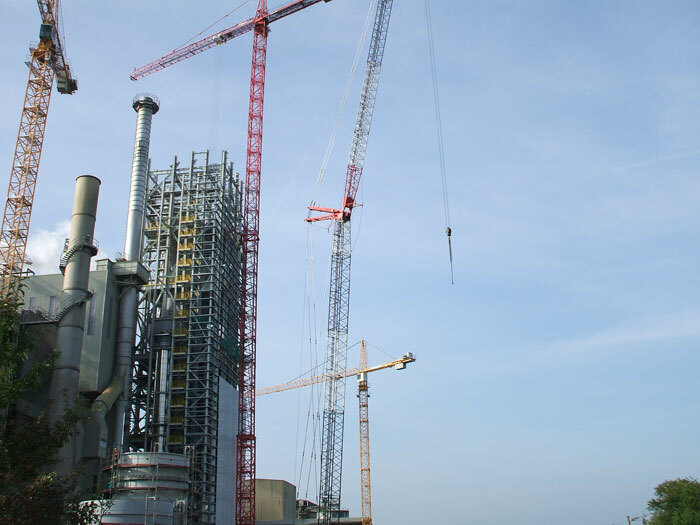 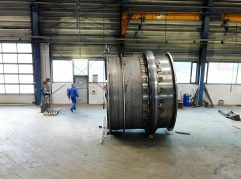 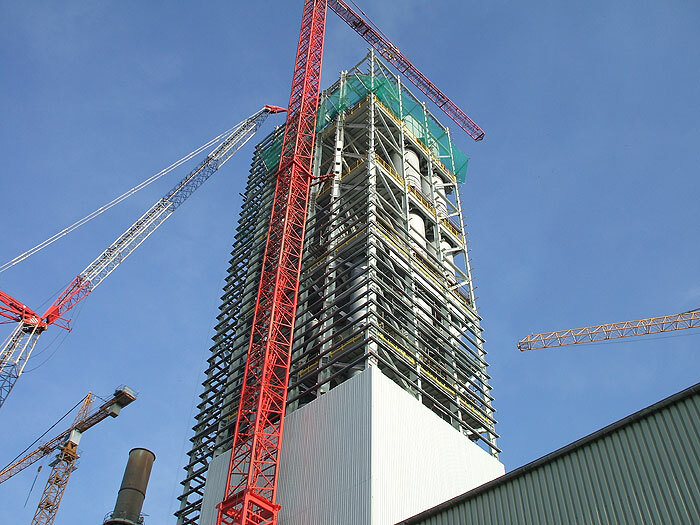 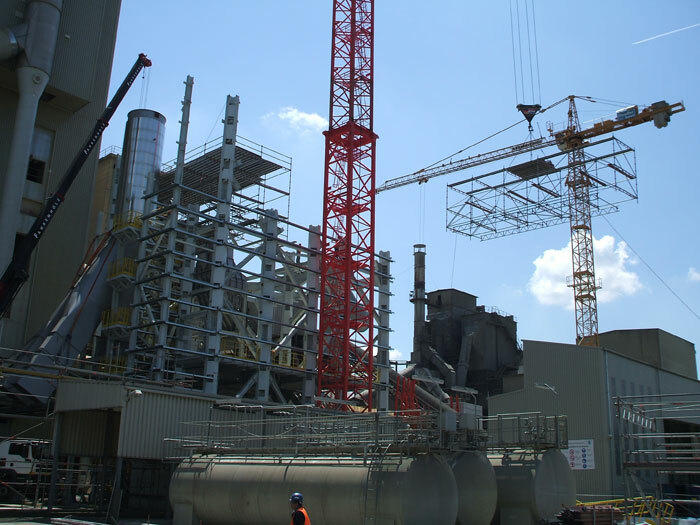 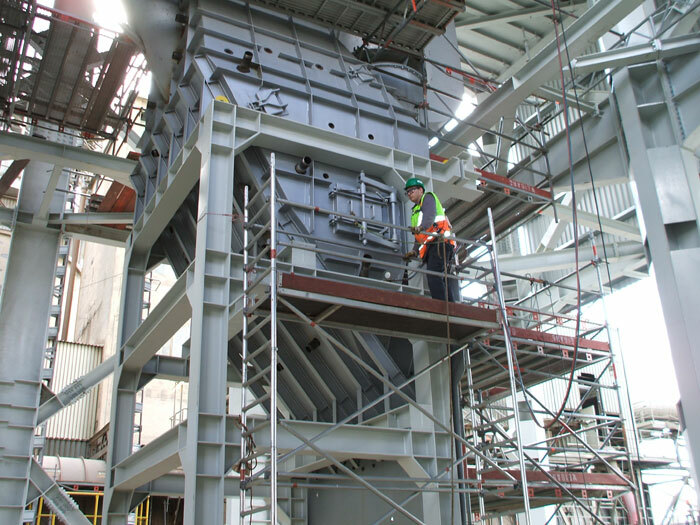 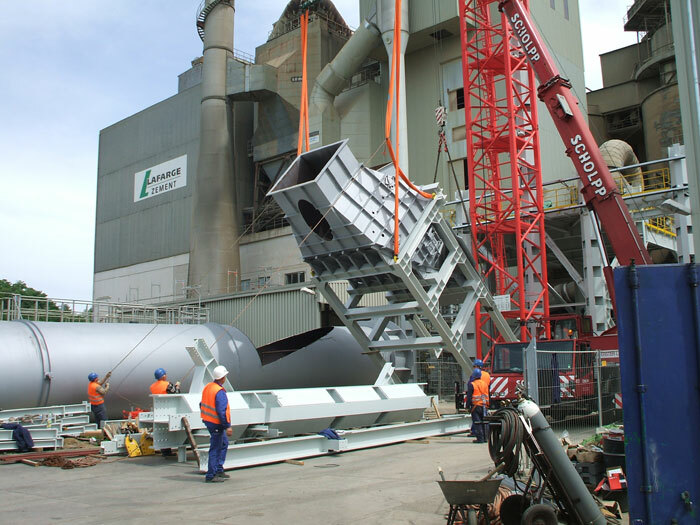 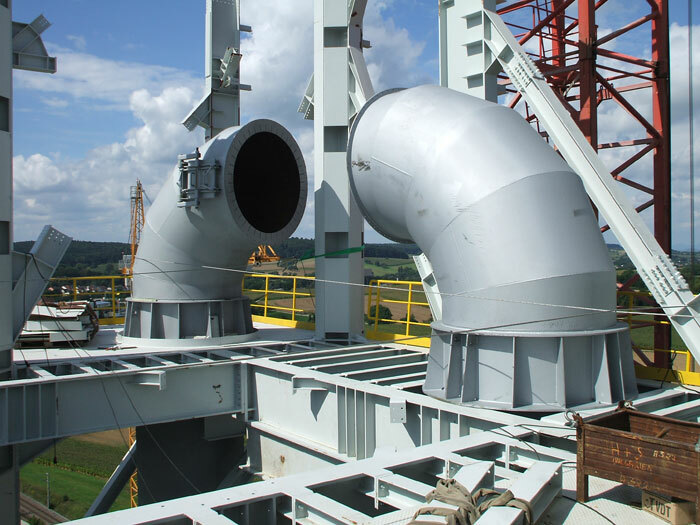 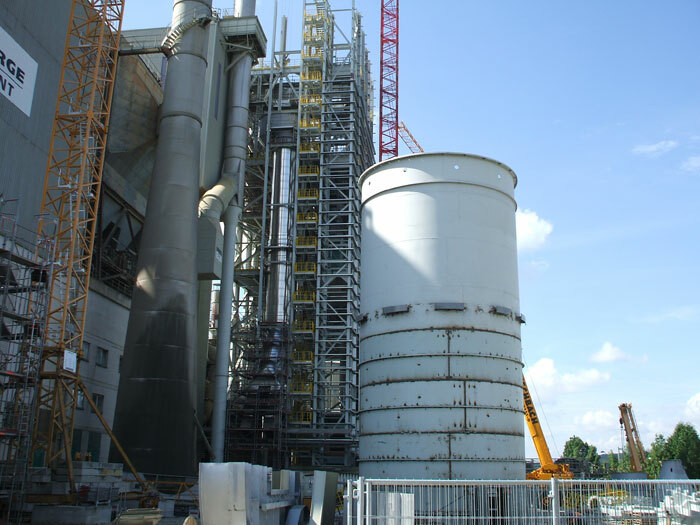 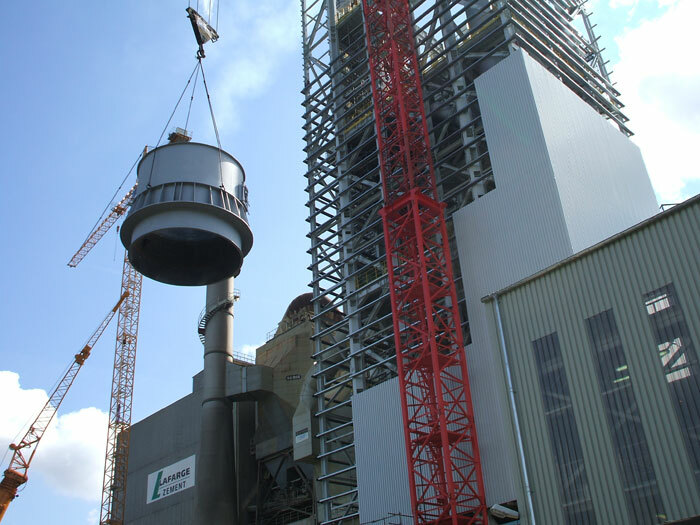 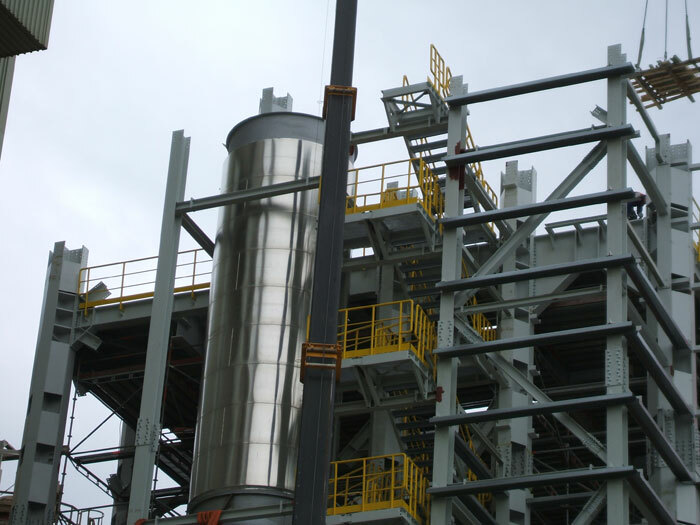 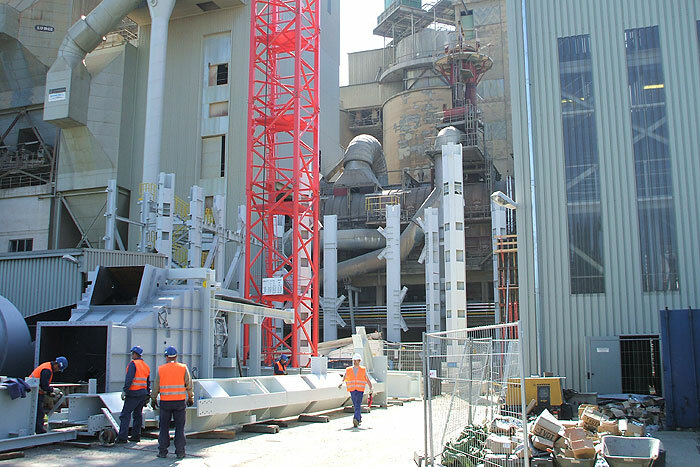 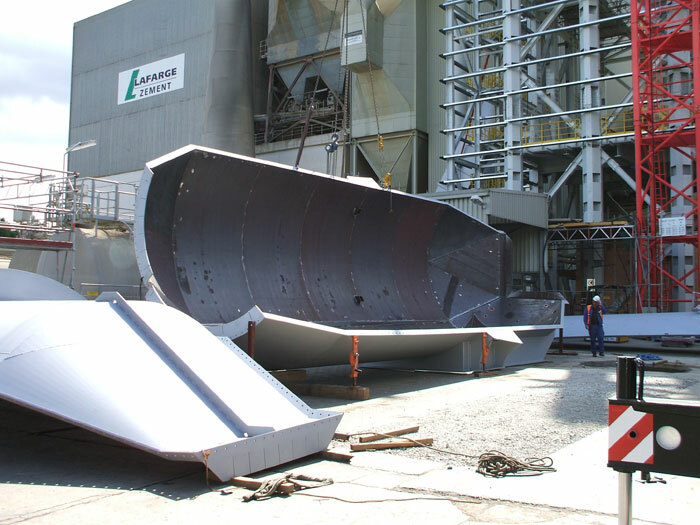 The necessary process equipment in the approximately 112 m high tower, such as calciners, tertiary air ducts, combustion and mixing chambers and five cyclone separators, was built turnkey by Hilgefort. 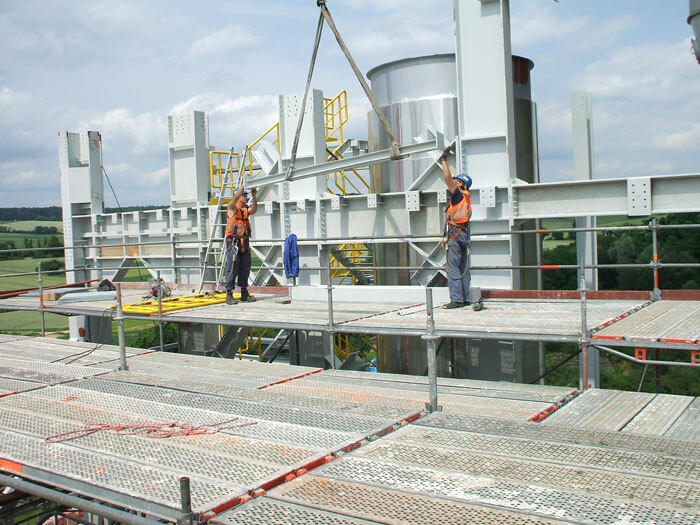 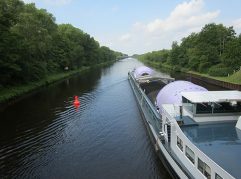 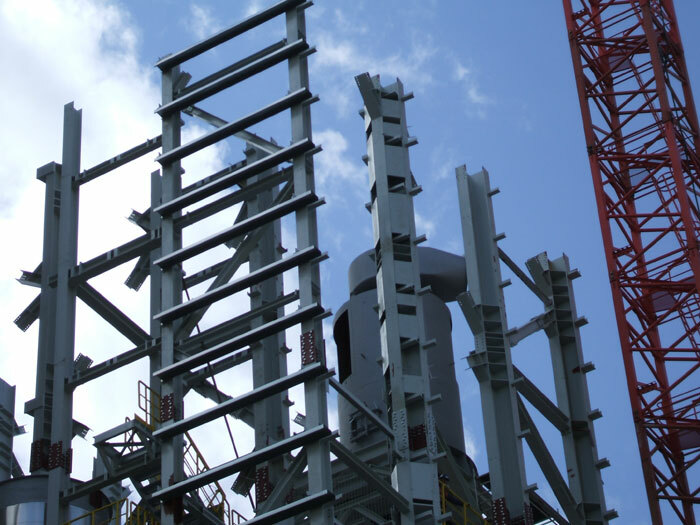 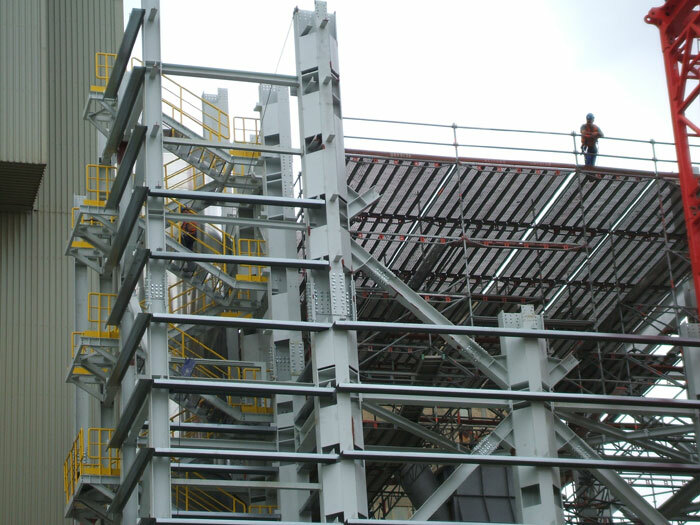 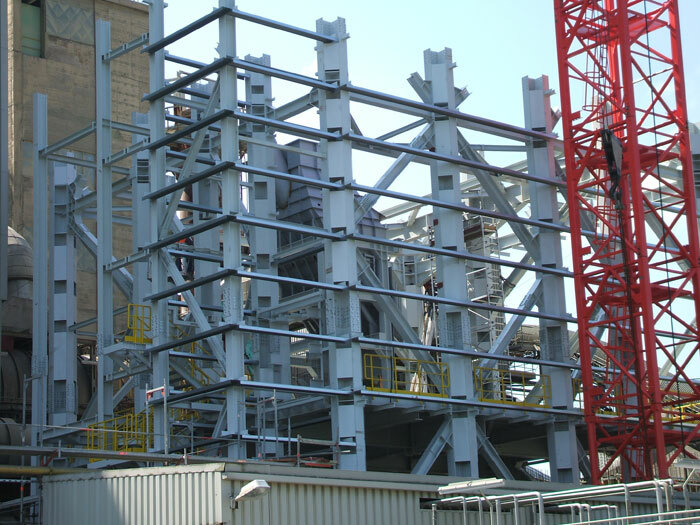 In addition, the company produced and assembled the steelwork, including stairs, scaffolding and 500 m long conveyor. 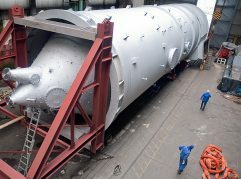 A rotary kiln was partially reconditioned.